“Young Women as Job Creators” provides talented young women finishing their University studies with assistance to become successful businesswomen. The “Young Women as Job Creators” project was officially launched on the 30th of April 2013 in Barcelona, after the endorsement of the 43 Member States of the Union for the Mediterranean (UfM). It promotes self-employment and entrepreneurship among young women university students who are about to graduate from a university in Jordan, Morocco, Palestine and Spain, and who have an interest in starting their own business. The project is based in the organization of Women Entrepreneurship Days (WEDs), a series of seminars which provide the participants with specific training and coaching to create new businesses. In 2013 the project informed, motivated and trained at about 800 young women from 32 participating universities to become future successful businesswomen and employers. 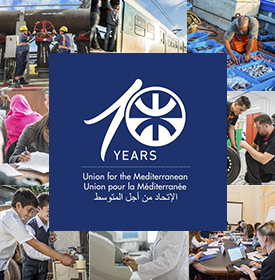 On the 15th of January 2014, The Association of Organisations of Mediterranean Businesswomen (AFAEMME) and the Union for the Mediterranean signed a Global Project Memorandum in order to ensure the project’s replication to additional countries and universities in the Euro-Mediterranean region in an effort to further promote women entrepreneurship and contribute to the development of sustainable economies based on private initiative, quality education and gender equality. Between March 2015 and April 2016 AFAEMME implemented the second project phase in Albania, Egypt, Jordan, Morocco, Palestine and Tunisia and a final Conference on the second project phase took place during the VIII MEDA Women Entrepreneurs Forum (April 28th 2016, Cairo – Egypt). The third phase of the project is being implemented during 2017 and 2018. Once the project’s three phases will be concluded, a total of 11 countries and more than 2.500 young women will have participated in the programme. More information about the project and promoter can be found at the official site of the project. 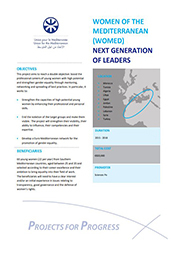 “Young Women as Job Creators” is promoted by the Association of Organisations of Mediterranean Businesswomen, AFAEMME, a European and Mediterranean platform of projects on gender equality and business, promoting equality at work and lobbying to enhance women’s legal, social and professional status. 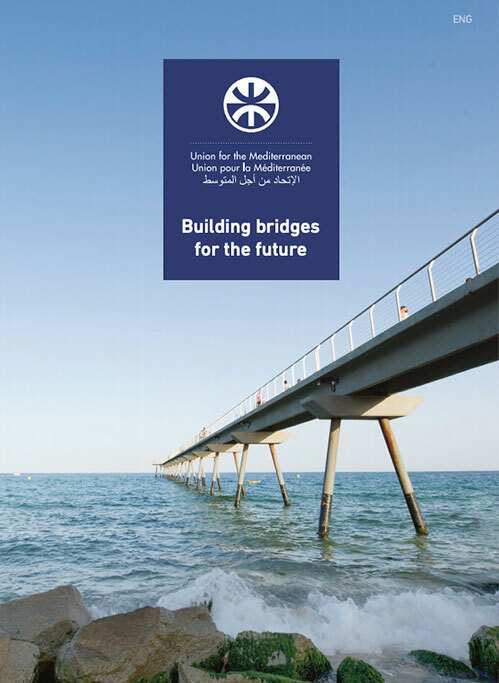 AFAEMME was founded in 2002 in Barcelona, Spain, and it gathers 41 organizations from 22 countries from the Mediterranean basin.